Here’s our fantasy premier league team tips GW9 article where we analyse the teams of 10 top FPL managers. These 10 managers have not finished outside the overall rank of the top 10k in the last 3 seasons. Considering how variable the last 3 years have been this is remarkable consistency and shows an ability to adapt strategy in different seasons. It also gives you a view other than my own on strategy and player selection. 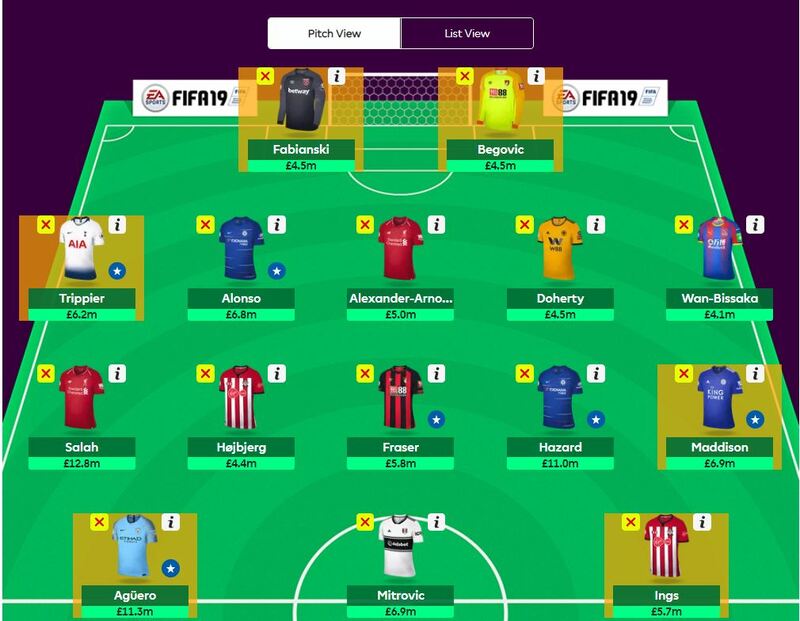 If the article is too long there’s a template team for the top 10 FPL managers analysed towards the end of the article. Firstly, there are 9 new managers in the 10 this season and I’m delighted to say that one of them is our own FFGeek contributor Keith Spencer. Keith’s last 3 years history are 17/18 (3,940), 16/17 ( 325) and 15/16 (9,280). The criteria I’ve always been looking for is managers who’ve finished in the top 10k for the last 3 years when FPL has become considerably harder due to the amount of people playing and the information available. It took me hours and hours to track down 10 managers who’ve been so consistent and my opinion after doing so is that there are probably only 20 or so in the world that qualify. The average score of the managers in GW8 was 67 compared to the game average of 50. That’s 17 points and 34% above the game average score. High score of the 10 was 88. The low score was 47. 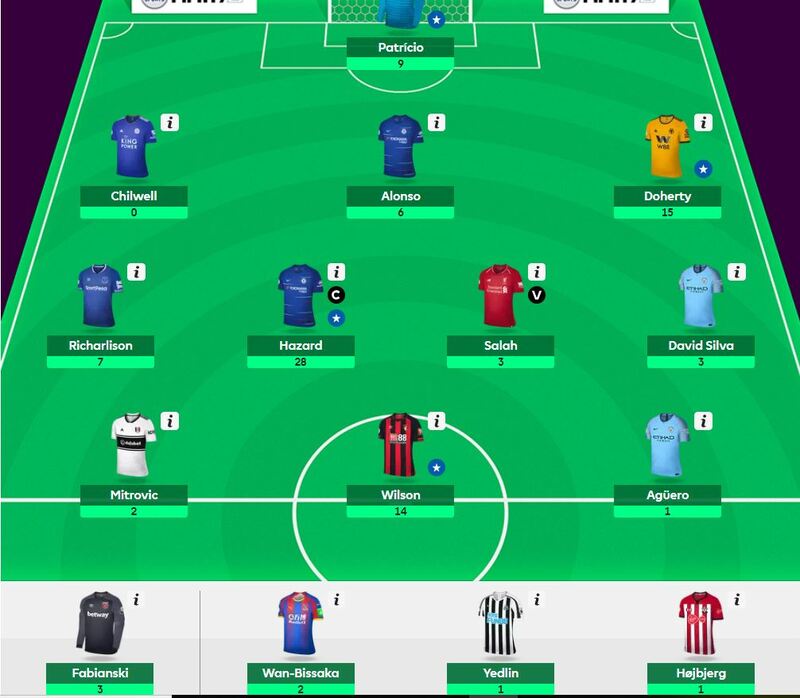 A spread of 41 for a pretty average scoring gameweek. The average overall rank of the top 10 FPL managers is 118k. An improvement of rank of 7k from last week. The best overall rank is in the 600’s and the lowest 589k. The low score distorts the average. The median overall rank is better at 75k. My score as you may have seen in my early FFGeek team thoughts article was reasonably good at 70. That was higher than 5 of the managers and my total points of 538 and OR of 28k is better than 7 of the 10 managers. I only summarise the transfers when a player is transferred in more than once. 6 of the 10 managers made a transfer. No managers took a hit. The schedule shows the players in the top 10k overall rank teams percentage wise vs the 10 top FPL managers I follow. Hojbjerg owned by the top 10 FPL managers more but not relevant as a bench warmer for FPL teams. 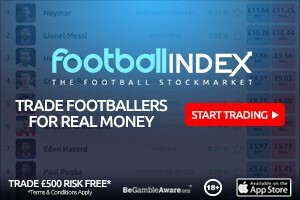 All the information is provided by the truly fantastic free site FPL discovery. Here’s a team which tries to make a combination from the most represented players. It fits comfortably within the £101.8m budget of my team although to do that I had to put Ings in the team instead of Zaha. Anyone or any defensive team that is owned by 7/10 of these managers or by 7/10 of the top 10k I would take a lot of convincing not to own irrespective of my thoughts about them. In terms of serious managers likely to finish with high overall ranks I won’t be getting left behind by players that are owned by a large proportion of these managers or by a large proportion of the top 10k. Hi! Very good work again!!! 1) When you speak about how much times are defenders represented, you firstly said Bennett and trippier are represented 4 and 5 times, but then you name them again, when you speak the player represented twice. 2) when you explain managers different formations, you are speaking of 3-5-2 two times. One of those beeing 4-4-2. Not very important things, but like the articles are worked so much, I have seen myself in the obligation of making you know them. Very good article again!!!! Much helpful!!! Picking up errors on my part is always appreciated and I’ve now corrected them. Trippier and Bennett were 5 and 4 times and the additional formation was 4-3-3. Great article, however, I think a lot of changes will happen with these managers’ squad during international break, what I mean is that I expect some WCs will be used by those managers. Awesome again. Really useful article. It leads me to believe I should bring in Richarlison or Maddison for Bernardo Silva. I don’t think it’s a good idea to bring Maddison in for the trip to Arsenal, his fixtures afterwards are good though. I watched wolves win on Saturday and I’m inclined to think Richarlison has a great chance of points v Palace.